Toyota's Lexus division is set to introduce what stands as its world' first Digital Side-View Monitor in a mass production vehicle on the new ES vehicle set to debut next month bringing this unique feature consisting of small cameras installed on the exterior doors made to show what is on the left, right and rear of the car while delivering this images to a monitor inside the cabin. 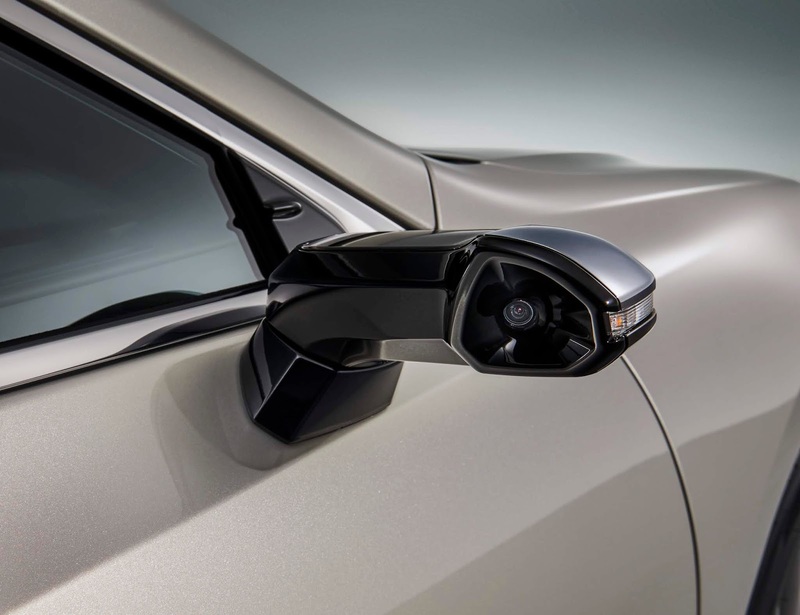 The vehicle's Digital Side-View Monitors offers expanded views of the car's surrounding through augments of the display area during turns or when backing up in addition to improving forward visibility (with no large side mirrors to block the view) and reducing wind noise. 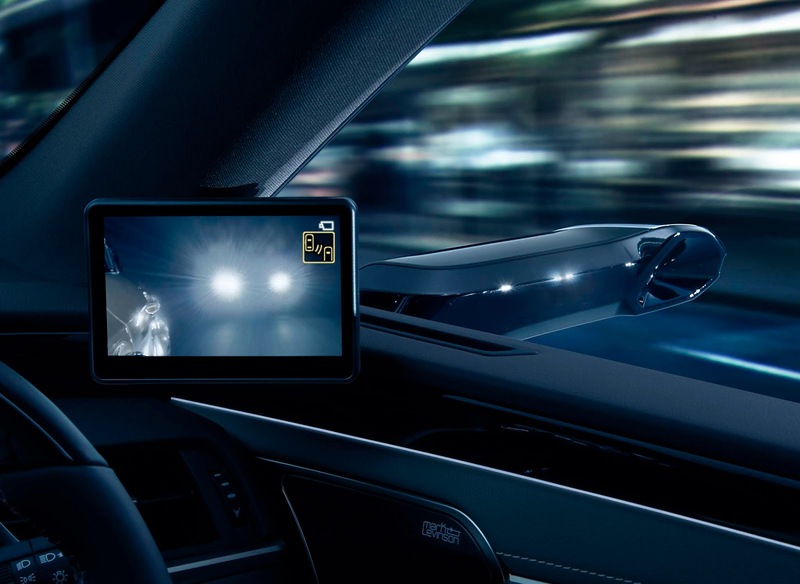 Lexus is providing its drivers with a clearer view of the vehicle's surrounding area through an installation of this system which provides for transmission of images to 5-inch display monitors located inside the vehicle's cabin at the base of the front pillars. 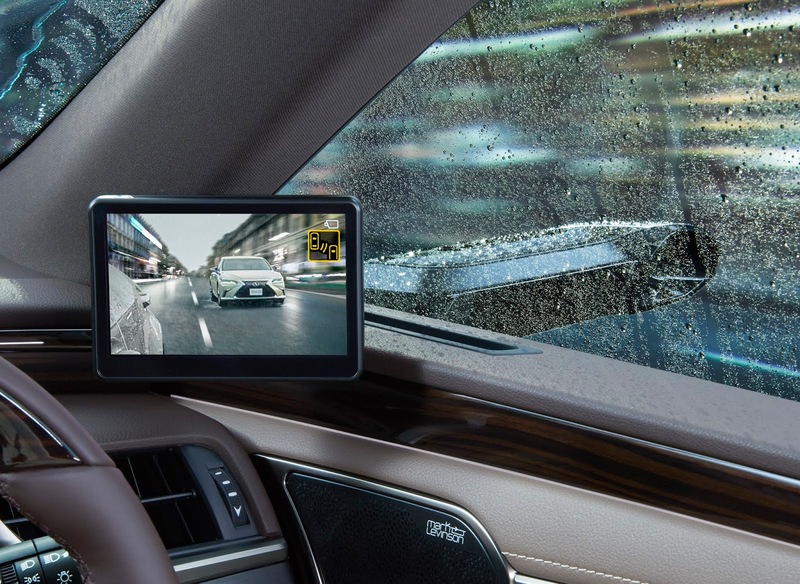 The Monitors are also shaped to resist the accumulation of raindrops and snow which may hinder the driver's view during journeys adding another advantage for this unique system. This system automatically enhances the vehicle's corresponding area when the turn signals are activated or when the transmission is put into reverse with view of area around the car capable of being manually enhanced by the driver for procuring of complete peripheral awareness of the vehicle's surroundings. 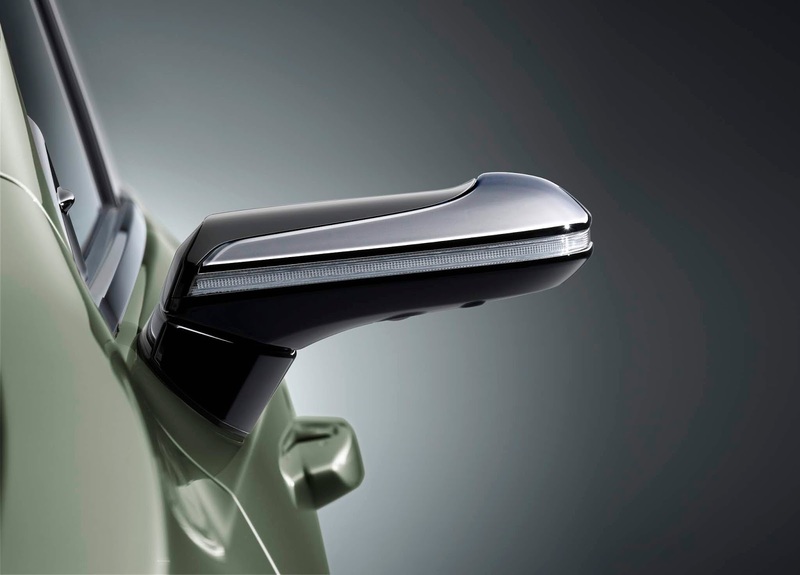 Through a replacement of the vehicle's traditional side mirrors with cameras, Improved visibility counts as a key feature achieved with no side mirrors which block the view outside the front windows present in the vehicle. The Lexus ES which packs this exceptional feature will be going on-sale late next month with this Digital Side-View Monitors being initially made available in Japan only.